The word Brexit (‘Britain’s exit’ from the European Union) has been like a buzz word around although there has been far too much idle and wasted chatter, mostly uninformed and too little worthwhile discussions. One legislator, who now obviously has the time, as much as side-lining himself, and should be playing the part of sharing and informing, raised the question in a recent sitting of the Legislative Assembly chiding the Premier (or government) for lack of update on the Brexit matter. It should first be understood, the reasons how they go there in the first place and whether they should be there. We will publish the article as we welcome all articles, discussions, questions, on any topic that do not put us in danger of being sued for defamatory and libellous. We promise there will be no discrimination whatsoever, especially that many will tend to be political. We believe that by now, contrary to what some may even perceive, while not directly accused, we do not support any political party or individuals, but we welcome any opinion that is critical of anything that goes against or support the progress of this little island and its people. In that case we too will promote and encourage those individuals who show that their interest is not self but truly that of the progress and viability of Montserrat. 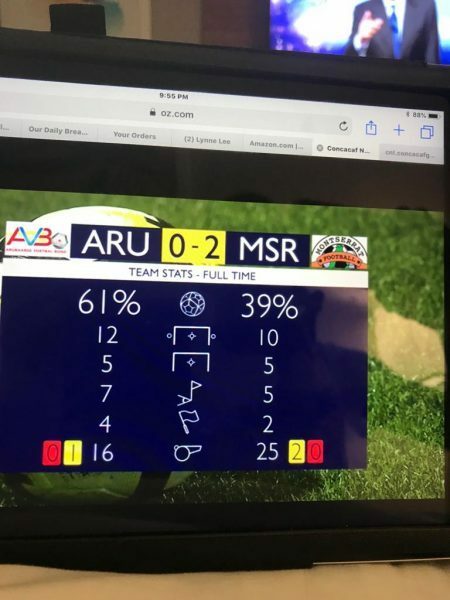 And by the way, one more correction. There is no charge for any contribution which in our discretion does not seek to promote the subscriber politically or otherwise. Then we call that advertising, which of course is what enables and pays for the service we provide. On the Brexit issue: here is the introduction by the subscriber on the matter. In the unlikely event of a no deal, the Brexit deal UK will leave the EU Budget in March 2019. Without further action, this would mean governments and other organisations in our Overseas Territories could lose future funding for existing projects under EU programmes. However, the Chancellor has agreed that the UK government will guarantee funding for specific EU projects. This will provide certainty for British Overseas Territories governments and participating organisations over the course of our EU exit. You should include this if you are publishing soon. It’s a statement from the FCO published last year about a no deal Brexit. Saga is currently speaking out about the GoM being silent on the issue, and I think he’s right. 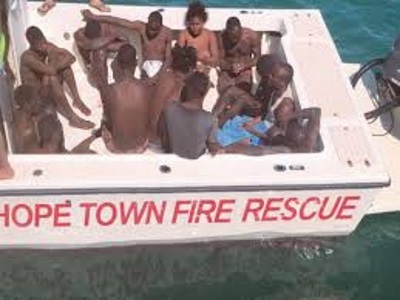 NASSAU, Bahamas, Feb 13, CMC – Two days after 22 Haitians were buried after they drowned while attempting to enter the Bahamas by sea earlier this month, the 18 who survived the ordeal have been charged with illegally entering the country. The 17 men and one woman appeared before Magistrate Kara Turnquest-Deveaux telling her they were “looking for a better life” when they boarded they boarded the 40-foot vessel that ran aground in waters off Abaco on February 3. So far 31 bodies had been recovered but the authorities said that nine were in such poor condition that they were buried in Abaco. The authorities have since called off the search for other survivors. 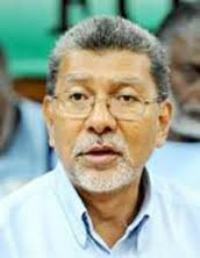 Magistrate Turnquest-Deveaux thanked the survivors for their early plea of guilt and turned them over to immigration officials for processing. 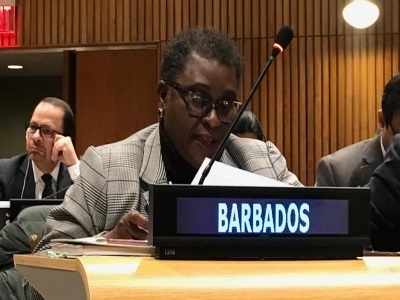 Last week, Foreign Affairs Minister, Darren Henfield, said that Nassau has in the past warned of the dangers associated with the illegal migration by sea to the Bahamas. He said the survivors will be repatriated and the Department of Immigration also said that there will be no special treatment for the survivors. “The department’s policy in reference to the handling of the illegal migrants remains the same. There has been no change in regard to this policy,” the department said. 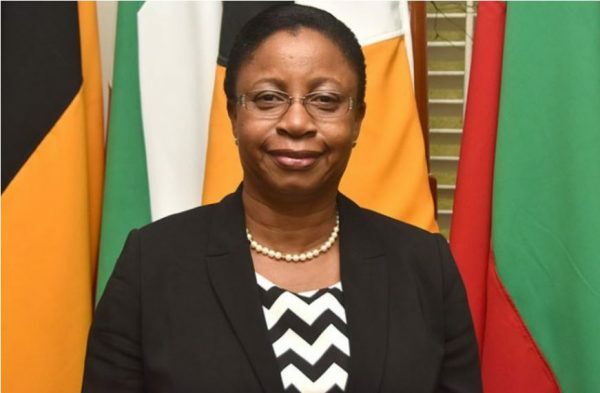 GEORGETOWN, Guyana, Feb 13, CMC – The 15-member Caribbean Community (CARICOM) grouping has expressed concern at the violence in Haiti where opposition parties have been staging street demonstrations demanding the resignation of President Jovenel Moise. 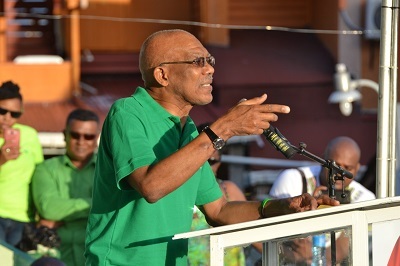 CARICOM chairman and St. Kitts-Nevis Prime Minister, Dr. Timothy Harris, said the regional integration grouping “is deeply concerned about the continuing violent protests in Haiti, which have resulted in the loss of life, property, destruction of infrastructure and caused grave distress. On Monday, the leaders of the various political parties and groups, adopt a common position demanding the resignation of the President Moïse and his government. 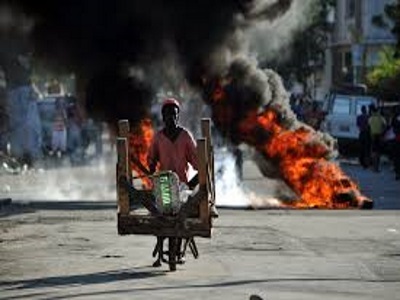 Earlier this week, several Western countries condemned the “unacceptable acts of violence” in Haiti and called on all stakeholders, including Haitian leaders “to engage in a constructive and inclusive dialogue in order to identify and implement realistic and lasting solutions, political and economic. Opposition political parties have been staging street demonstrations in support of their calls for President Moise to step down, after accusing him of not investigating allegations of corruption in the previous government over PetroCaribe, an oil alliance of many Caribbean states with Venezuela to purchase oil on conditions of preferential payment. They are also demanding fresh elections and jobs.